Description The AW119 single turbine is derived from the successful AW109. Its key selling point is its wide fuselage. The AW119 single turbine is derived from the successful AW109. Its key selling point is its wide fuselage. 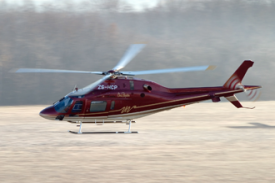 Do you want to comment the AgustaWestland AW119 Ke helicopter?